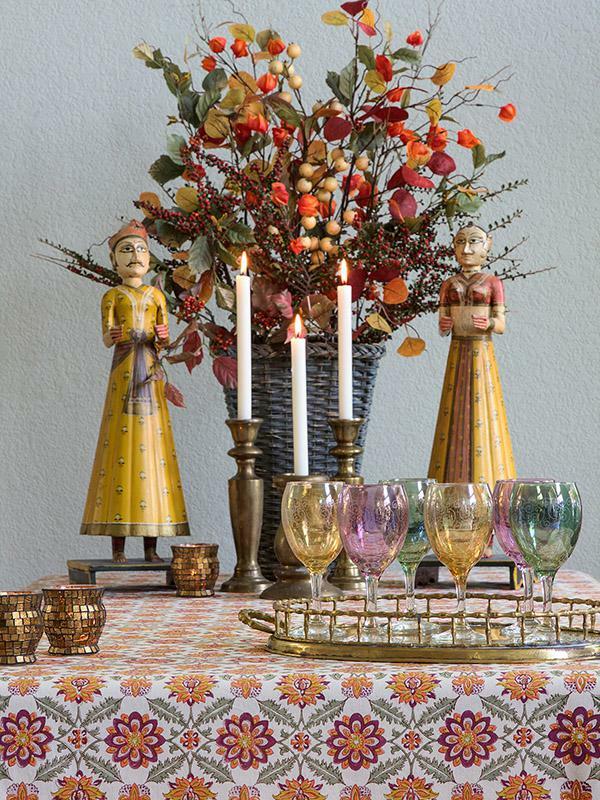 Scattering perfumed orange blossoms on your table just got easy. 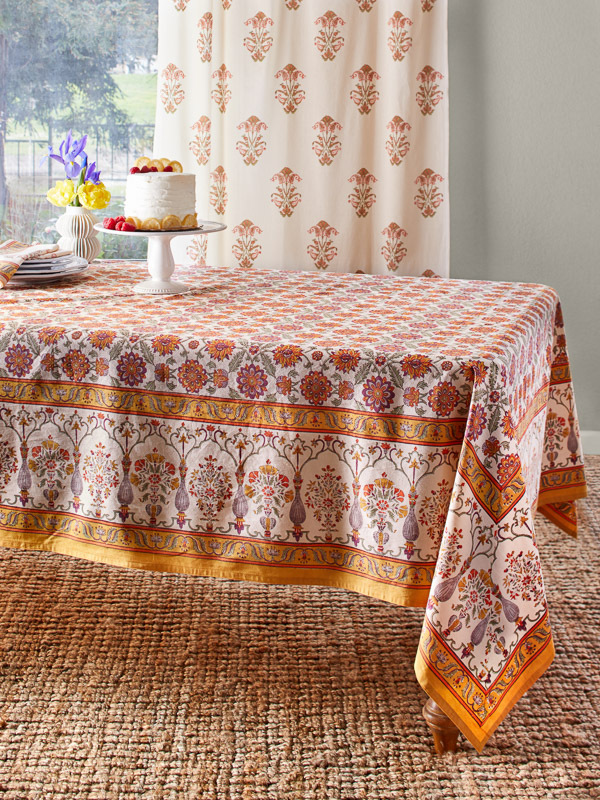 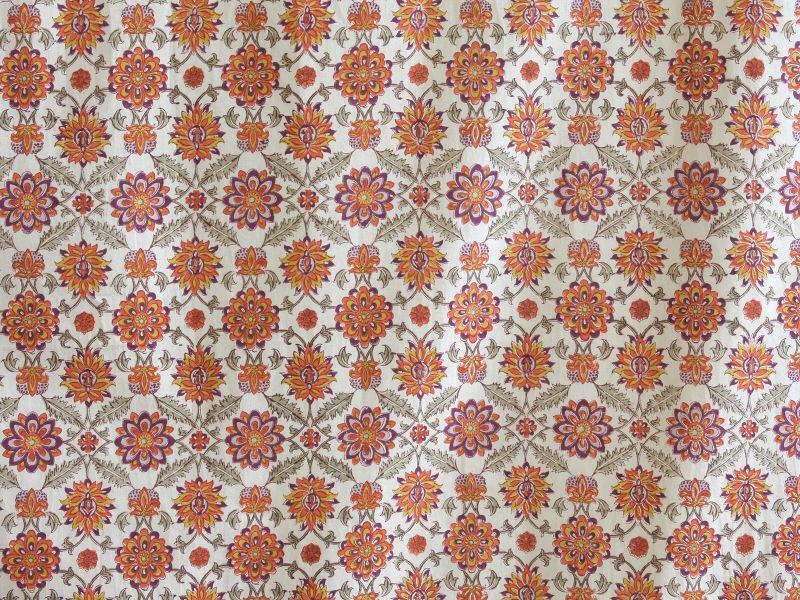 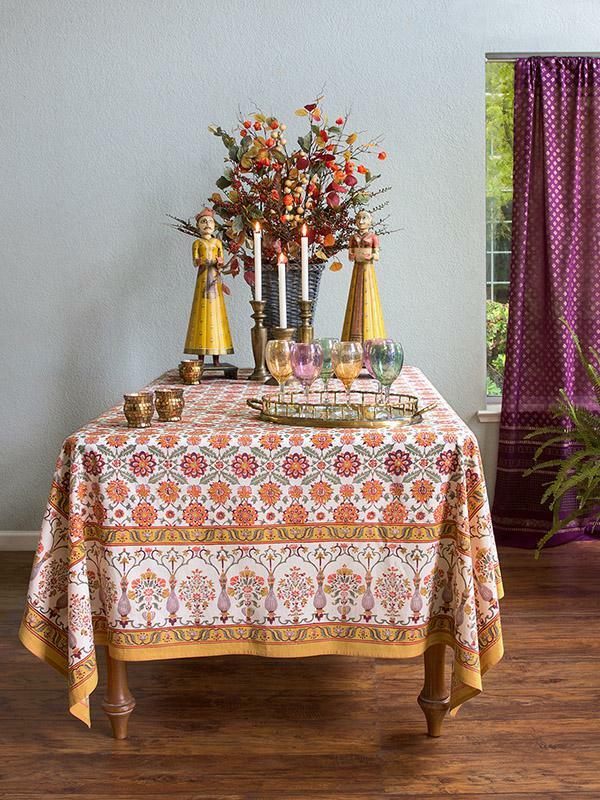 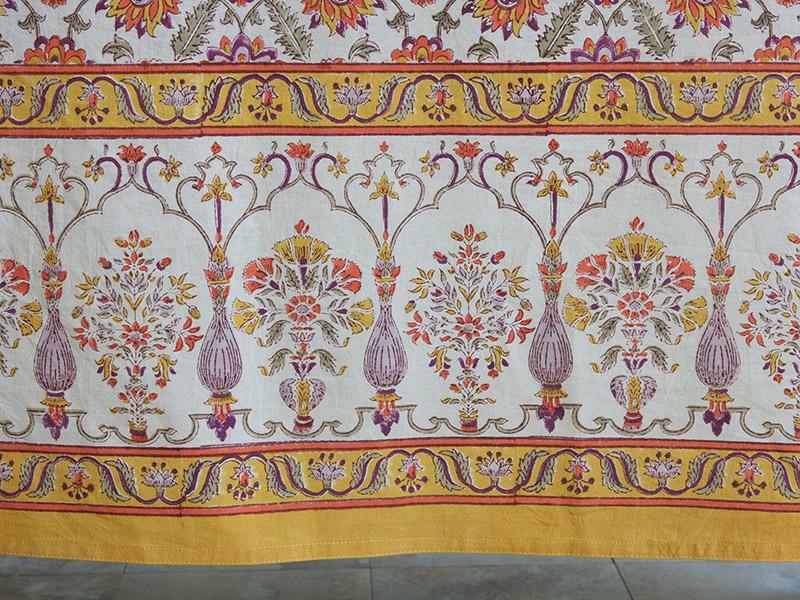 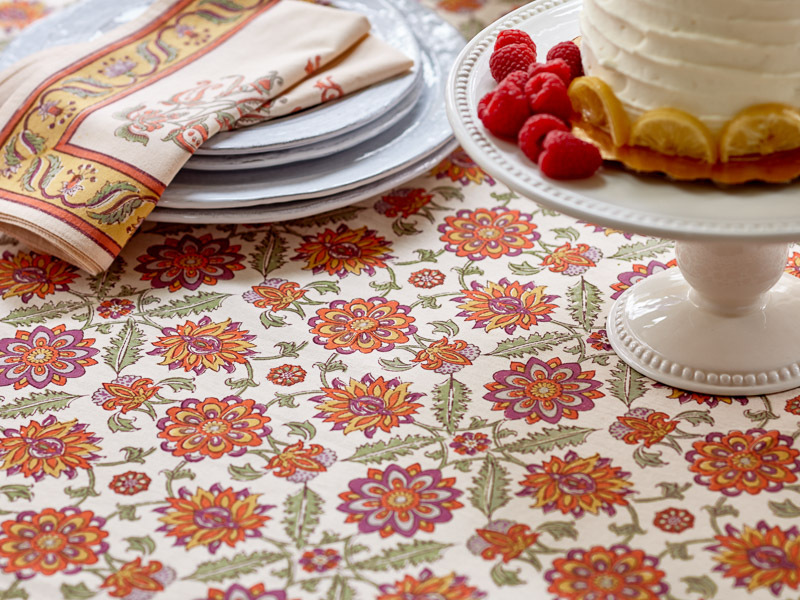 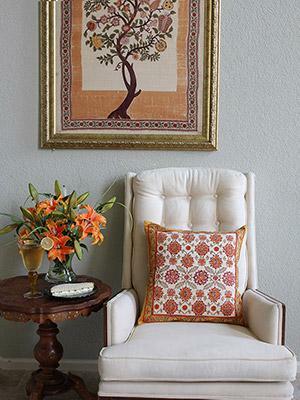 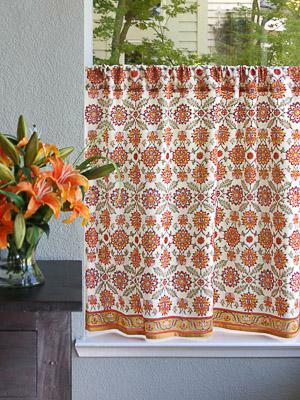 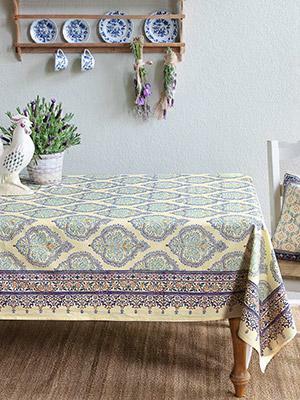 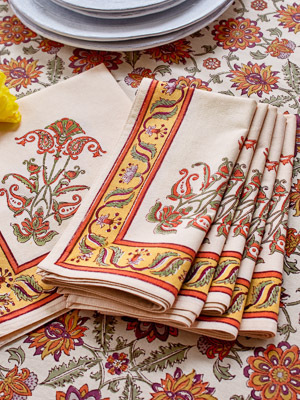 Unfurl this lush tablecloth and create a warm inviting gathering place. 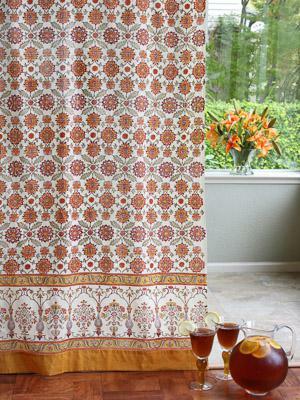 Serve up dishes inspired by the cuisines of the East and seasoned with saffron, dried limes, cinnamon and parsley. 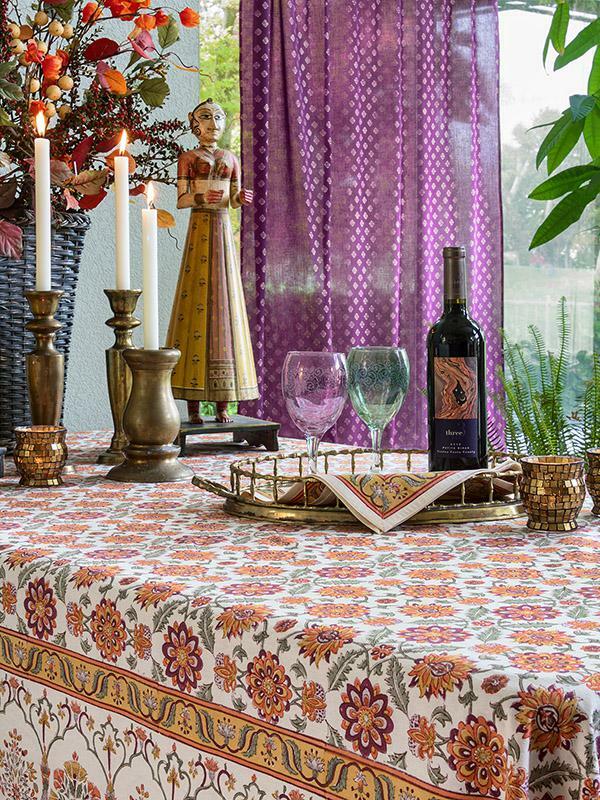 Add a centerpiece of flowers like vibrant Asiatic lilies and hot pink gerberas as a ... [ read more ] final flourish.